The car that feels big and drives small. That's how Smart describes this model, a city car that's large enough to seat four adults and provide a practical amount of storage space while remaining compact enough to make life in the busy city a breeze. 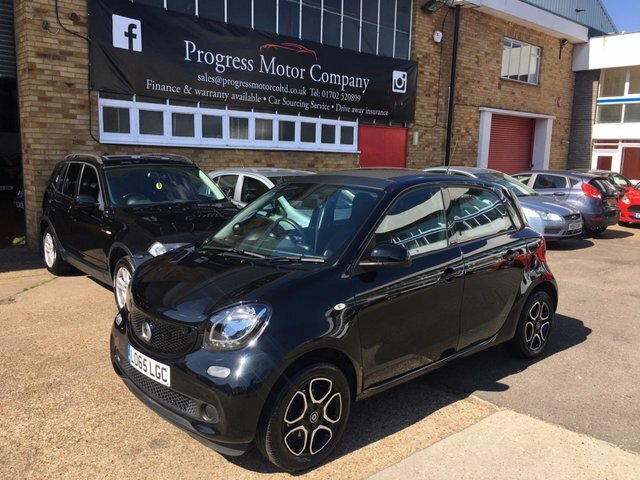 Come and test drive one of our used Smart forfour models for sale in Leigh-On-Sea today and discover whether this quirky vehicle is the right option for your lifestyle. You can also browse our full range online. Every used car we sell is thoroughly tested before going on sale and you can be 100% confident about getting your next used vehicle from Progress Motor Company.